The over 30 million people living in Venezuela face shortages of many basics, and what many call a hunger crisis faces the country. 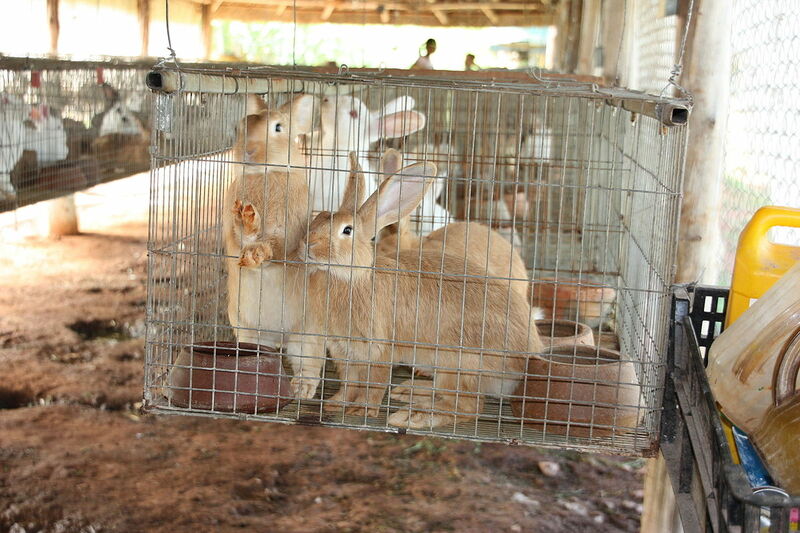 President Nicholas Maduro announced a plan on September 12, 2017 to alleviate the hunger crisis through Plan Conejo, a plan to convince Venezuelans to eat rabbit. Maduro seemed to be “light-hearted” and “cheerful” in proposing Plan Rabbit to the Venezuelan cabinet, yet the plan is being seriously promoted by the government’s Urban Agriculture Minister Freddy Bernal as he makes efforts to convince people to raise and eat animals they have culturally seen as cute and friendly pets. Critics point out that the plan not only goes against cultural norms, but given the constant shortages in the country, would be unfeasible at the least. While Maduro blames his country’s economic crisis on an economic war waged by his foes and exacerbated by sanctions from the Trump administration, hunger is a world-wide problem. The human population is expected to pass the 9 billion mark by the year 2050. Of the more than 7 billion people today, about 840 million are reported to suffer from chronic hunger. To feed this many people a meat-based diet would require more land than the planet contains. Not only is the land not available, animal-based agriculture is extremely inefficient and has enormous environmental impacts. The United Nations acknowledged in 2010 that diets rich in meat and dairy products are unsustainable and that the world must shift toward a vegan diet to alleviate hunger, poverty, and the impacts of climate change. higher in dietary fiber, magnesium, folic acid, vitamins C and E, iron, and phytochemicals, and they tend to be lower in calories, saturated fat and cholesterol, long-chain n–3 (omega-3) fatty acids, vitamin D, calcium, zinc, and vitamin B-12. In general, vegetarians typically enjoy a lower risk of cardiovascular disease (CVD), obesity, type 2 diabetes, and some cancers. A vegan diet appears to be useful for increasing the intake of protective nutrients and phytochemicals and for minimizing the intake of dietary factors implicated in several chronic diseases. A vegan diet is also the kinder approach and acknowledges the tremendous suffering of farmed animals. November is World Vegan Month and was kicked off on November 1 with World Vegan Day. World Vegan Month was started in the United Kingdom in 1994 to celebrate vegans and the goal to eliminate animal cruelty. November 1 was chosen as the launch date to align with Halloween and the Day of the Dead, honoring the uncounted animals who have died at human hands. While not connected to World Vegan Month, Venezuelans presented by the government with rabbits to breed and raise for food have reacted by putting bows around rabbits’ necks, giving them names, and raising them as pets. In response to the promotions of urban agriculture, on the other hand, Venezuelans produced about 273 metric tons of fruits, vegetables, and herbs in a 3 month period shortly after the Great-Agro Venezuela Mission was launched in February 2016. Would this habit of eating animals not require that we slaughter animals that we knew as individuals, and in whose eyes we could gaze and see ourselves reflected, only a few hours before our meal?